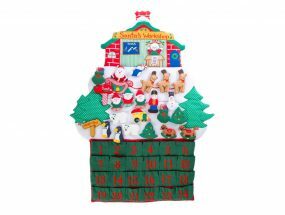 The latest addition to our fabric Advent Calendar Range is this bright and colourful Santa Advent. 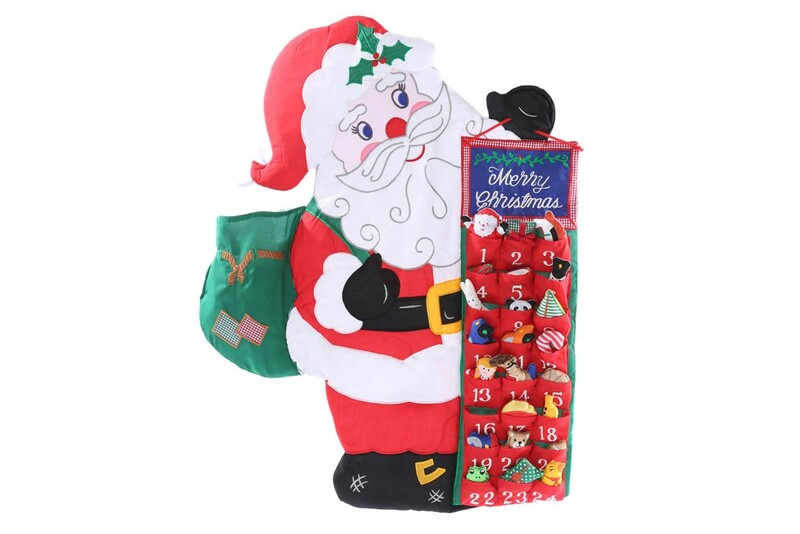 All the pieces start off in Santa’s bag and day by day you put your hand in and pull out a surprise figure and put it in the little pocket for the appropriate day. There is room in the pocket to put a chocolate coin or sweet if you wish too. 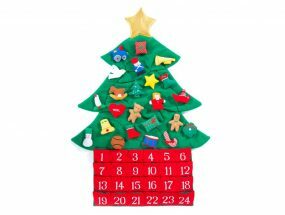 A really fun and exciting way to count down to Christmas. Made from a poly/cotton mix with machine embroidery it has a two little hanging loops at the top. 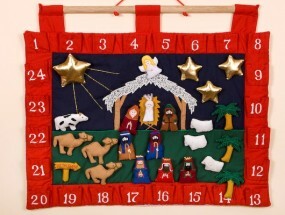 Each little figure is stuffed with a poly cotton wadding and they range from 5cm – 8cm in height.